It takes you no longer than 20 minutes to set up the import to RepairShopr and start the test data transfer. 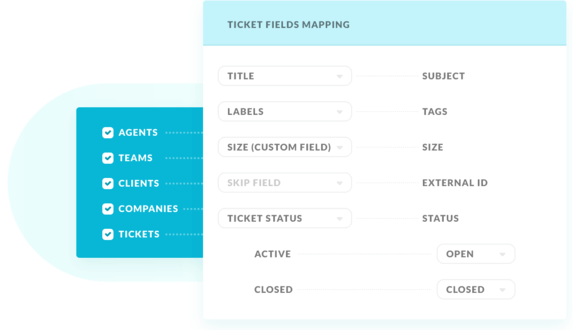 Only Help Desk Migration allows you to instantly transition custom fields, as well as map their location. All tickets will be imported to RepairShopr with their corresponding agents, contacts, and attachments, that way, saving the record of customers' requests. Opt and link your source service desk with HDM. Grant access to your RepairShopr account. We'll research your application and send you with a the overall cost and a scope of work. We consider security very seriously and have established a comprehensive set of practices , technologies , and policies to help ensure your data is secure.